Please use the navigation menu at the top of the page to find the pages of interest. Rain or Shine... The WHOA Spring Garage Sale is set for April 6th! Mark your calendar! The WHOA annual meeting will be held on Monday, April 15th. Sign in begins at 7:00 pm. Come meet your neighbors and board. It is important that we make quorum, so please send in your proxy. Even if you plan on attending, your proxy will be voided and you will still have a vote. If you are interested in running for the board, please email angie.robinson@goodwintx.com by April 10th. You can always nominate someone from the floor. The WHOA North Pool is now free to all current paid homeowners! We will be issuing pool cards at the annual meeting. You can call Goodwin Managment at 512-502-7515 to pick up your card if you cannot make the annual meeting. Please note all accounts must be current and approved by the current homeowner. Renters must get approval from the landlord prior to requesting a new pool card. 2019 Annual Dues are are now past due! Your account balance as of January 1st was on your annual bill that was mailed to you in December. All payments should be mailed to the address on the statement. WHOA, C/O Goodwin Managment, 11149 Research Blvd, Suite 100, Austin TX 78759. An account number must be on your check or the payment coupon included. If you are unsure of your account number, please call the management office 512-502-7515. 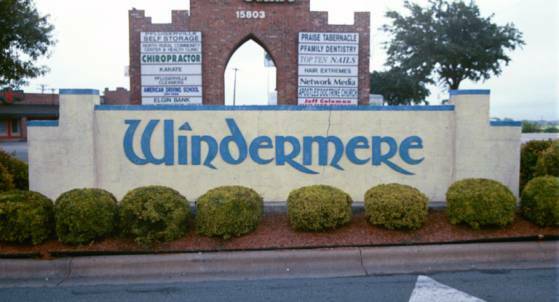 Currently the Windermere Homeowners Association yearly dues are $181 and are due by January 31st of each year. Late fees of $10 per month will be assessed after the last day of each month. The Monthly Board of Directors meeting is the 3rd Monday of each month in the Windermere Clubhouse located at 16800 Gower Street, starting at 7:00 pm. The next scheduled meeting will be on Monday, January 21st, 2019. Click here for AGENDA. Effective, October 1st, 2018, the Windermere HOA Board of Directors is pleased to announce that Goodwin Management is the new community management company! Each homeowner shouid be getting a welcome letter with instruction on how to update contact information, report violations, pay assessments online, etc. Be sure to sign up on their portal for up to date information. If you have any questions, please feel free to call the office number at 512-502-7515 or email at info@goodwintx.com. Also you can visit www.goodwintx.com for more information. Angie Robinson can be reached at 512-638-0662 and will be the interim community manager at this time. Please call (512) 502-7515 for all questions and comments. Our mailing address is Windermere Homeowners Association, c/o Goodwin Management, 11149 Research Blvd. Suite 100, Austin TX 78759. Additionally, you can email the Property Manager or any member of the WHOA Board of Directors at angie.robinson@goodwintx.com. Please report broken links, etc. to the WHOA Webmaster.